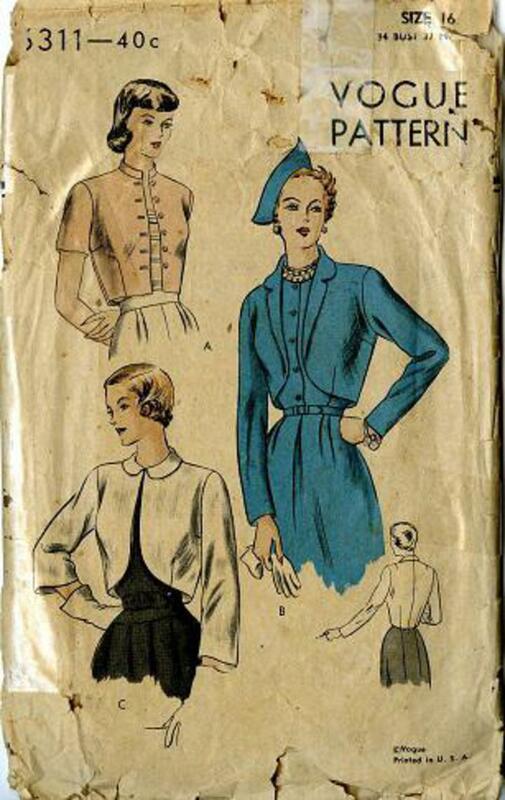 1948 Vogue #6311 vintage sewing pattern, misses' bolero in three styles, size 16. Three styles included in pattern. A. straight fitted fronts with button and buttonhole trimming below upstanding band collar, short sleeves. 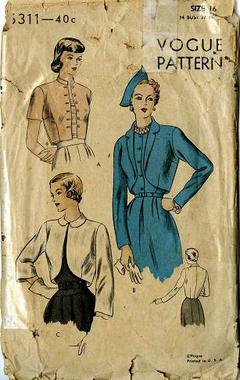 B. Cut-away fronts, notched collar, long fitted sleeves. C. Cut-away front, closed neck with Peter Pan collar, straight three-quarter length sleeves.